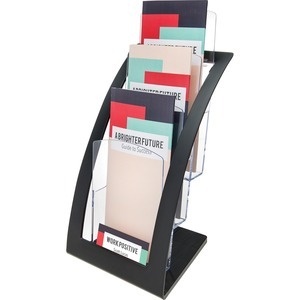 Three-tier literature holder lets you display a variety of materials at once while saving valuable counter space. 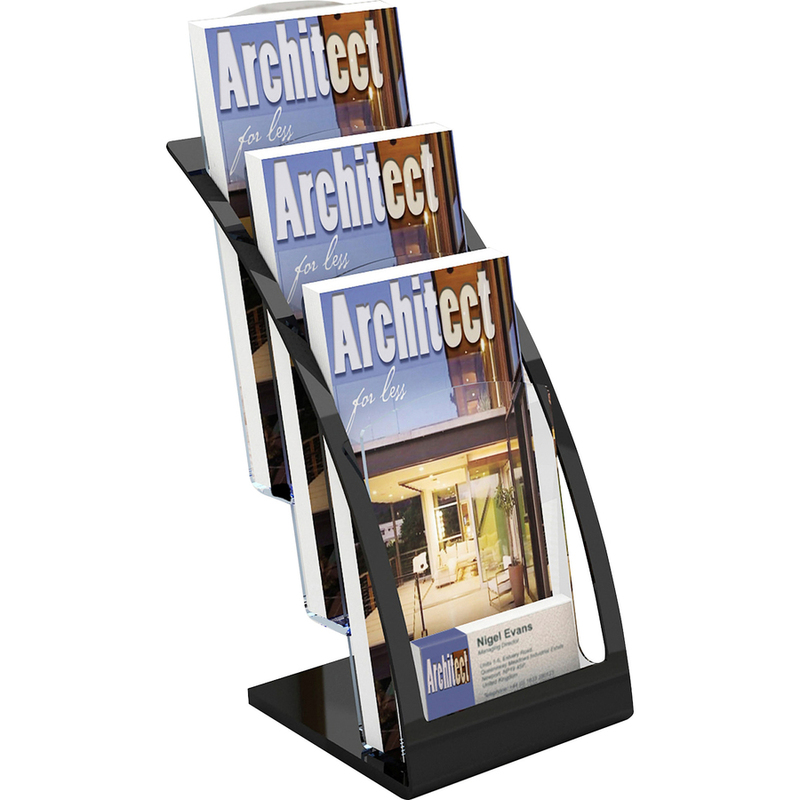 Sleek curves and an open design create an inviting display for your leaflet-size literature in reception areas, lobbies or trade shows. 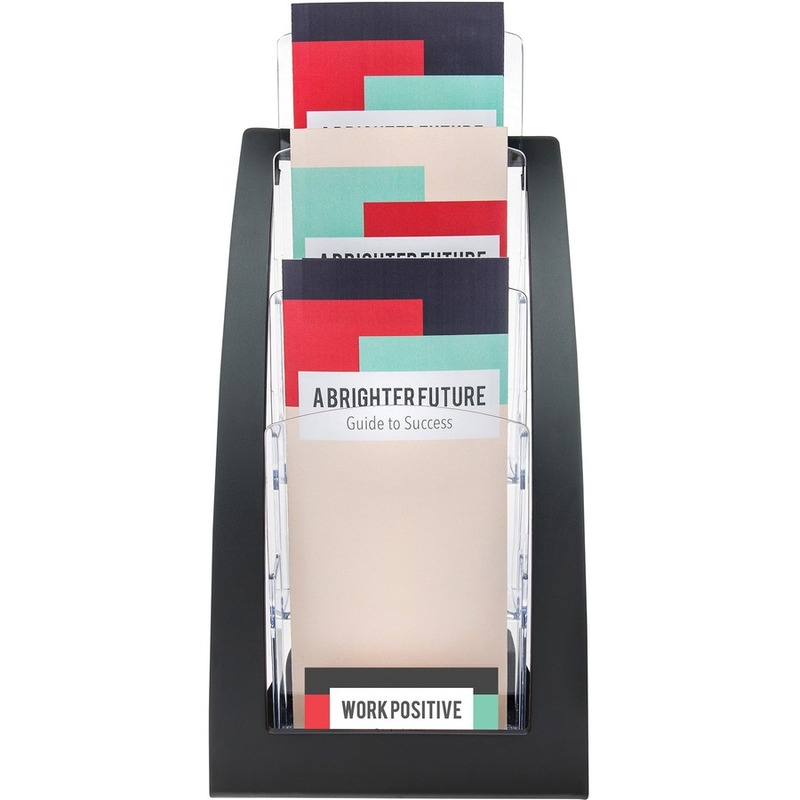 Contemporary style is the perfect complement to Deflecto Contemporary Floor and Sign Stands. 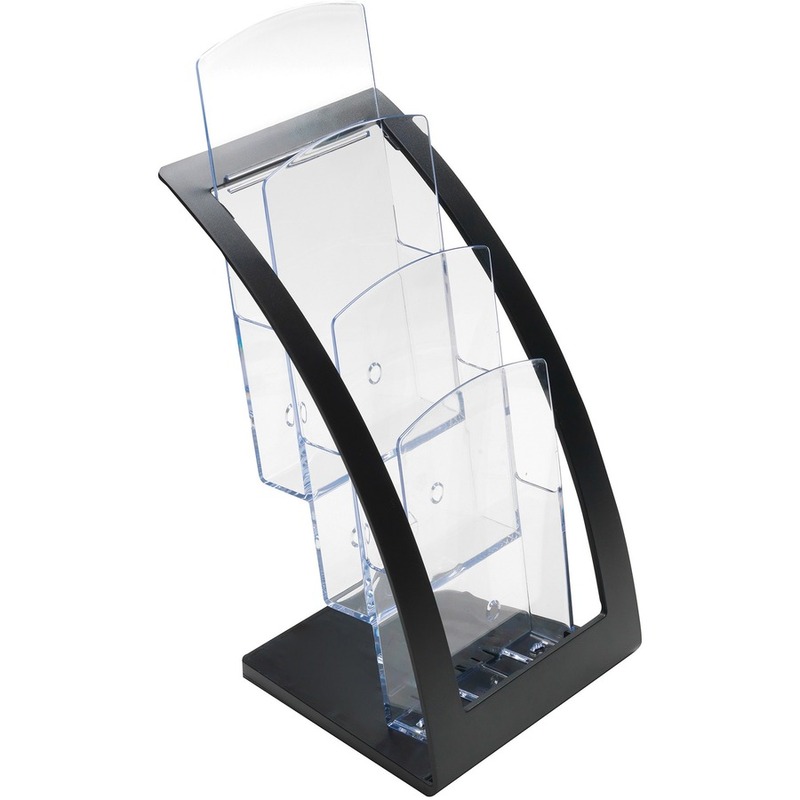 Clear front panel provides easy viewing of literature. 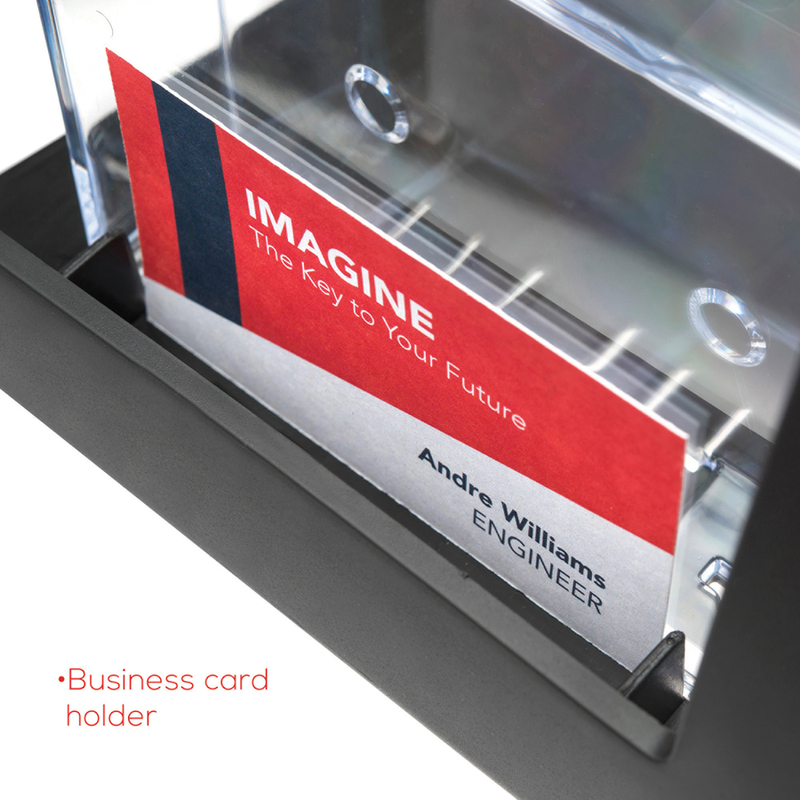 The front also features a built-in business card holder for a complete display. 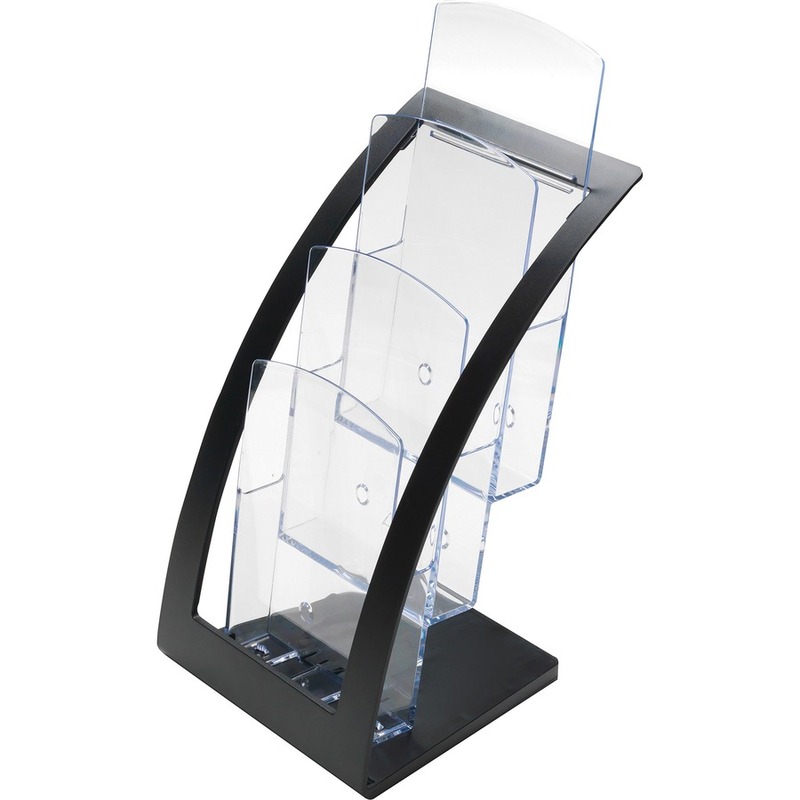 Holder is made of durable plastic.